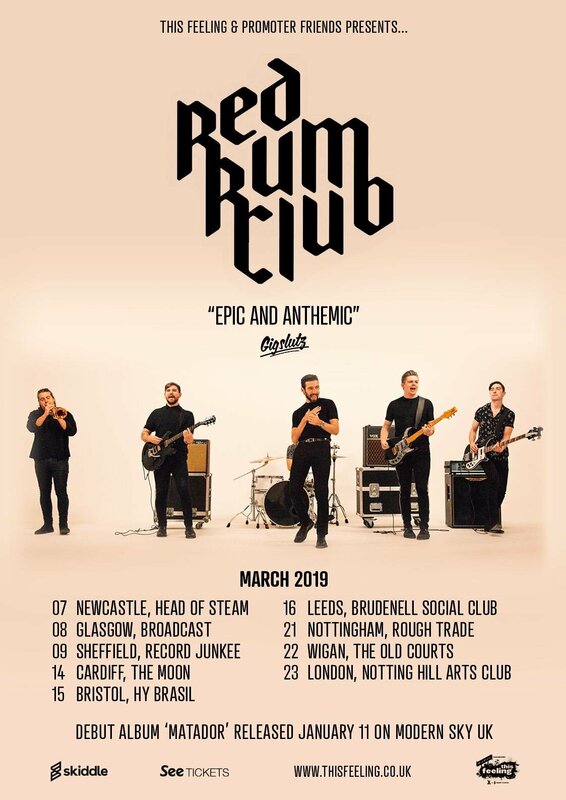 Liverpool 6 piece RED RUM CLUB have recently revealed a brand new single taken from their forthcoming debut album MATADOR out on JANUARY 11 2019 via MODERN SKY UK. The track is a huge live favourite, titled WOULD YOU RATHER BE LONELY? 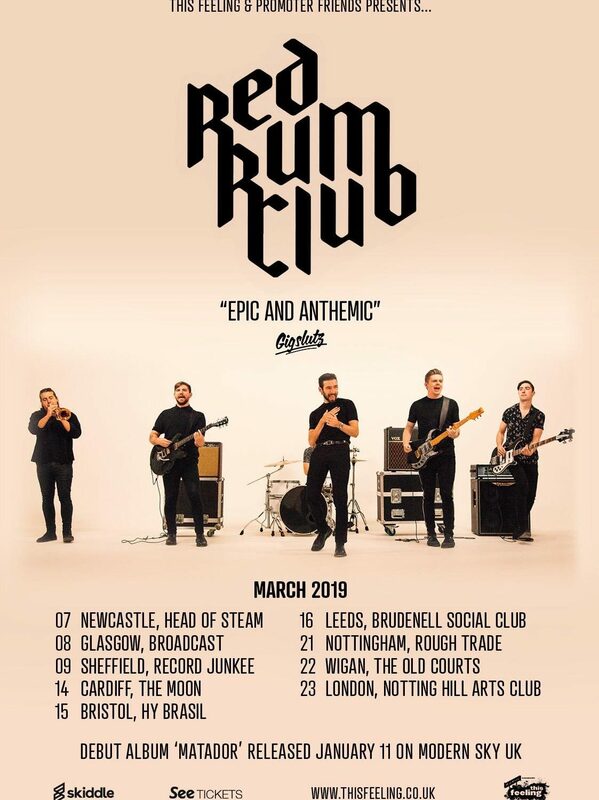 and was premiered by legend Steve Lamacq on BBC 6 Drive Time – 16.11.2018. Listen below via BBC sounds. ….Hear it again on the 20th November as well….